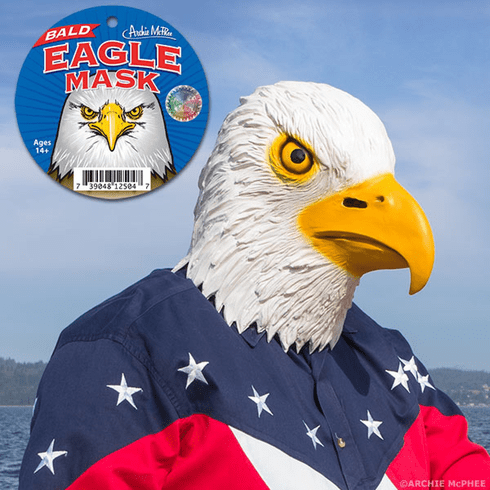 This full-head adult mask is perfect for avian appreciators who want to resemble that most noble bird of prey, the Eagle. This mask is so true to life, you'll feel like you should be hunting in the wilderness and posing on money. Latex. Fits most adult heads. Bagged with illustrated tag.